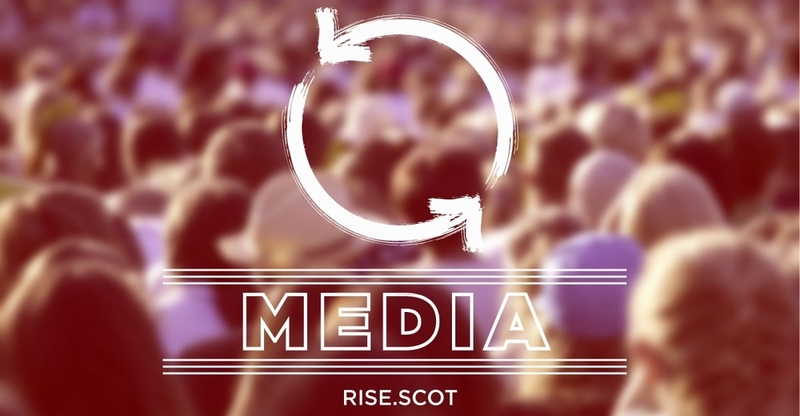 RISE, Scotland’s left alliance, today pledged to harness the “real hunger for a different Scotland” which drove last year’s mass independence campaign and moved the Yes movement from a constitutional demand to include a vision of an entirely different Scotland. "Taking the Yes campaign beyond the constitutional question into areas of austerity, class, imperialism and radical social justice was crucial in delivering the 45% Yes vote and majorities in key places such as Glasgow and Dundee. The radical left played an outstanding role in the process. "In next year's Holyrood election RISE will capture that radical spirit and aims to win the election of a socialist group of MSPs to ensure that it is represented in the Scottish Parliament. "Contesting on regional lists across Scotland we will bring a left wing, pro-independence challenge to the politics that inspired the independence movement into Holyrood. We intend to run the largest radical left campaign in over a decade, and will be working community by community to build support. "The challenging times we are all facing demand a bold vision which serves the intests both of Scotland’s people and the planet and RISE pledges to be that challenge. "RISE MSPs will fully back a second referendum on independence and campaign for a modern democratic Scottish republic while ensuring that the government deals with such key issues as poverty, housing and the scandal of Trident renewal. "The diversity of the independence movement was it's key strength. That must be built on today, and reflected in Holyrood so that next time we win."